Good afternoon everyone! I hope you are all having a great Thursday. 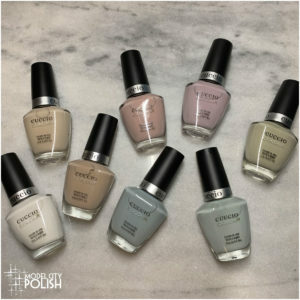 Today was a beautiful day and called for an equally beautiful polish. 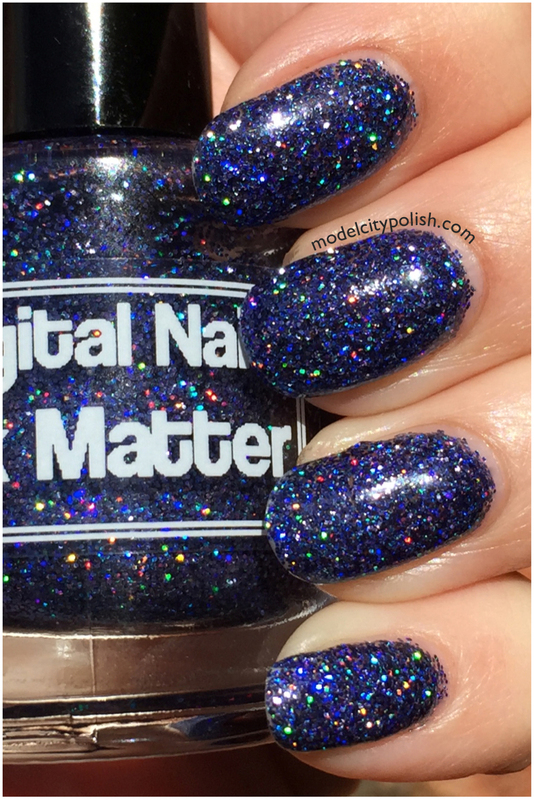 Digital Nails has the perfect blend to equal my glitter desires. 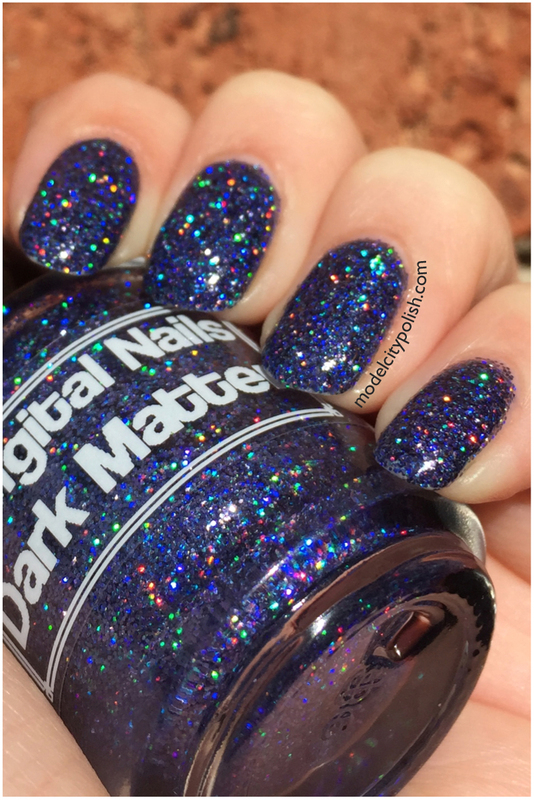 Dark Matter is a clear base blend that is packed full with purple holographic glitter. 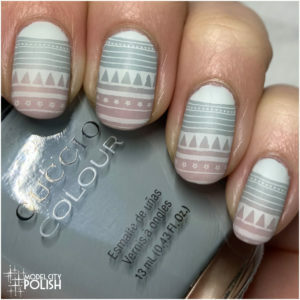 This blend is a little thick but manageable, just take your time to get a clean finish. 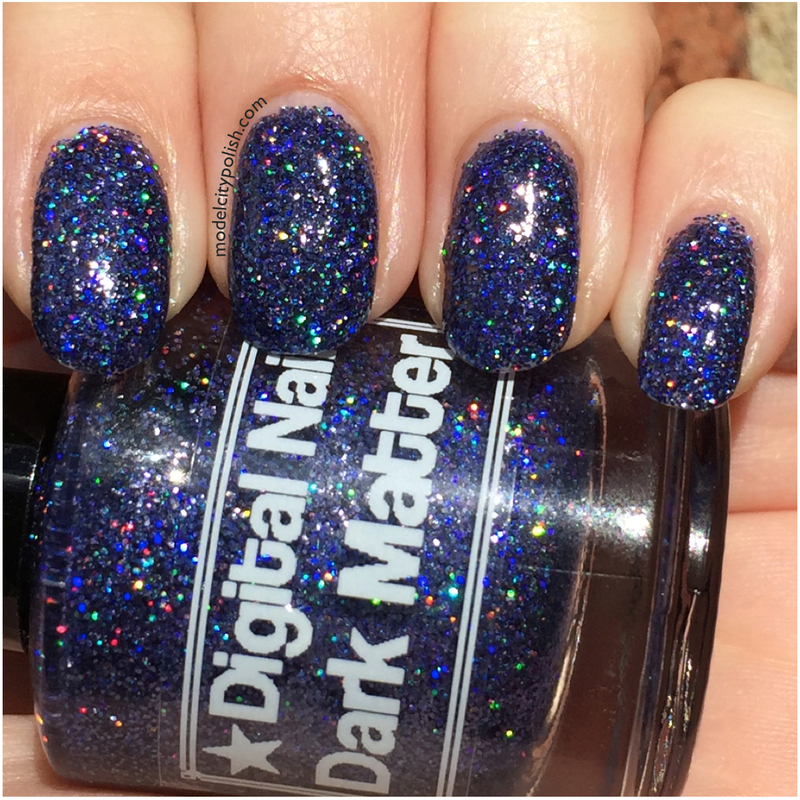 Dark Matter is a fantastic glitter bomb that can be used as a top coat or layered with no undies, of course I went with the full glitter bomb! In my photos I am wearing just three coats of Dark Matter and two coats of Gelous. 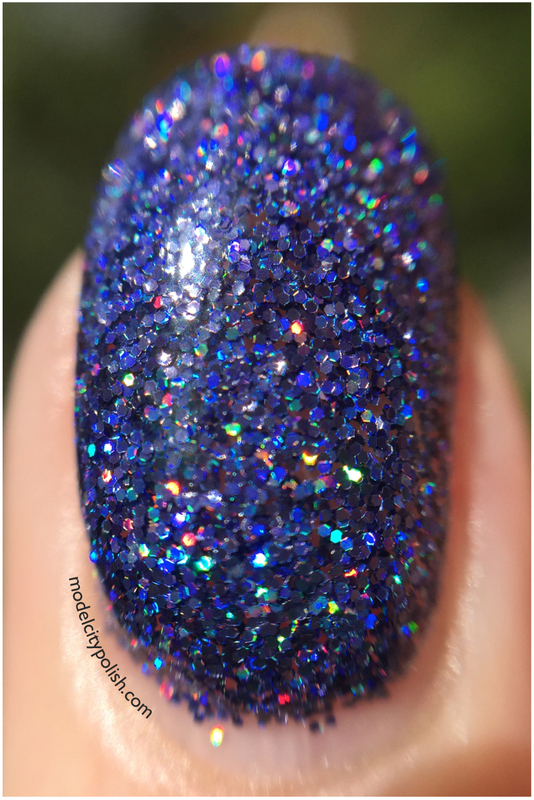 So what do you guys think of this glitter beauty? 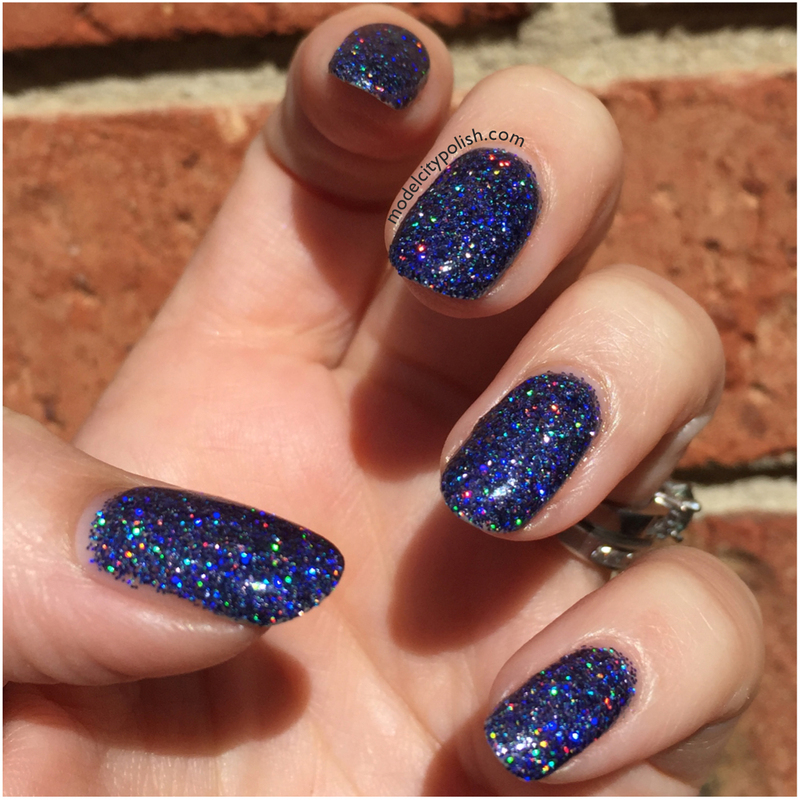 The color is perfect for fall but the holographic glitter adds a hint of summers gone, I love it. 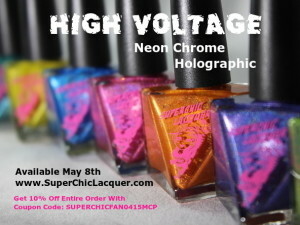 Check out this beauty and tons of other great lacquers from Digital Nails. 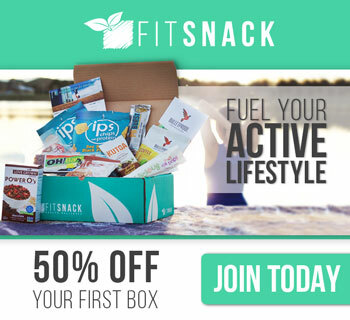 Be sure to also give them a follow on Facebook for up to date info. Thank you so much for stopping by today and I look forward to seeing you all again tomorrow.